The issue has been weighing on my mind heavily over the past few months. Like many people, I wear eye glasses. Being a good prepper, I also have a back up pair, as well as contact lenses. However, I also spend a lot of time at the computer for work, school, and entertainment. And when I’m not looking at a screen, my nose is probably in a book. Lately, my eyesight has been terrible due to eyestrain. It’s been so bad that I may need to get a stronger prescription. 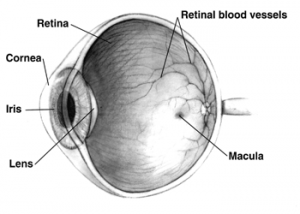 I also have an underlying condition that could put my eyesight at risk, which I’m addressing. When I realized I was squinting at everything while wearing my glasses, I started hunting down everything I could on eye health. As a prepper, I couldn’t help but think about what would happen if I didn’t start making my eye health a priority ASAP. I began researching eye function, deeper research on herbs for eye health, and nutrition for healthy eyes, and common eye injuries. 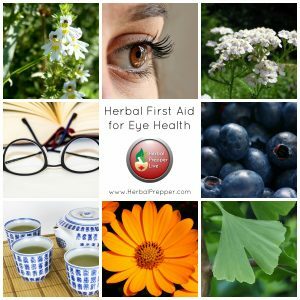 Now, it’s time to share what I’ve learned- the good, the bad, and the ugly- of herbal first aid for your eyes. There are some definite limits to what herbal care can accomplish for the eyes. If you have a puncture to your eye, you need an eye surgeon ASAP in order to have any chance of saving your eyesight. But for infections, eye strain/fatigue, allergies, corneal abrasions, and many other minor issues, herbal first aid can be a major relief. Listen to this broadcast or download “Herbal First Aid for Eye Health” in player below! Previous: Previous post: Top 5 Best Anti-Carjacking Guns !